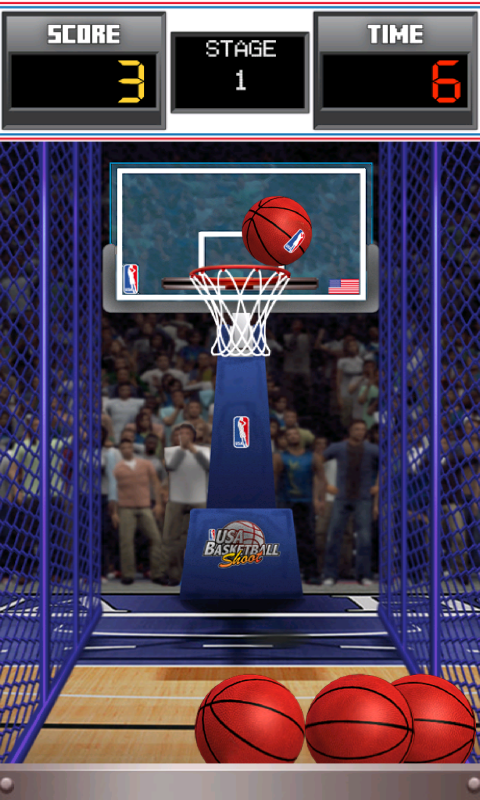 USA Basketball Shoot brings all of the fun of arcade style basketball to your device. 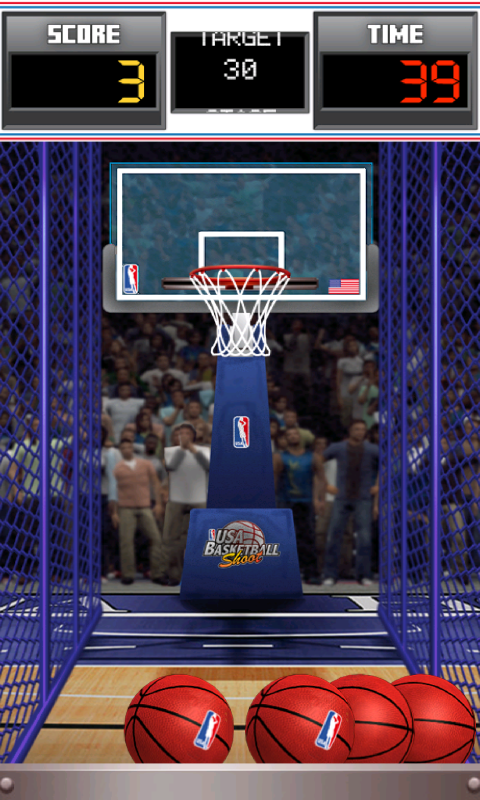 With realistic physics and simple controls, you can play this basketball simulation over and over again. The goal is simple: make as many shots as humanly possible. 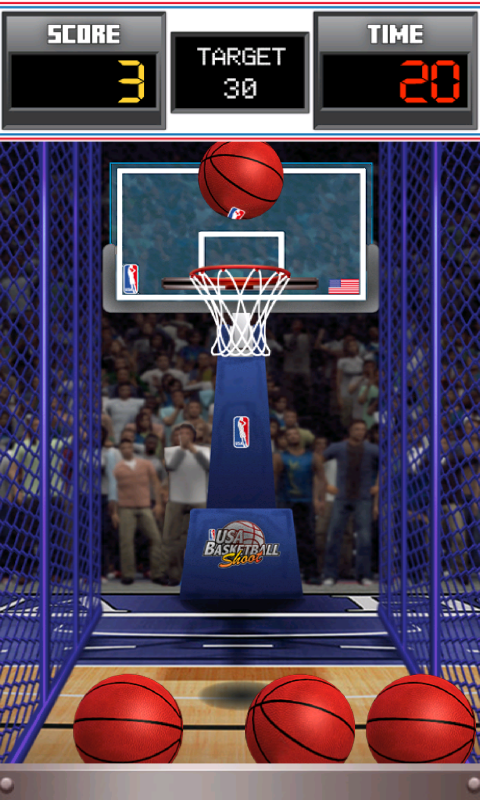 USA Basketball Shoot gives you four balls to work with. With accurate ball trajectories, and realistic sound effects, it’s an incredibly addictive game. • Easy to control, fun for every age players.